13&9´s BuzziPleat wins Interior Design Magazine’s 2017 Best of Year Awards for Acoustical Furniture Applications. 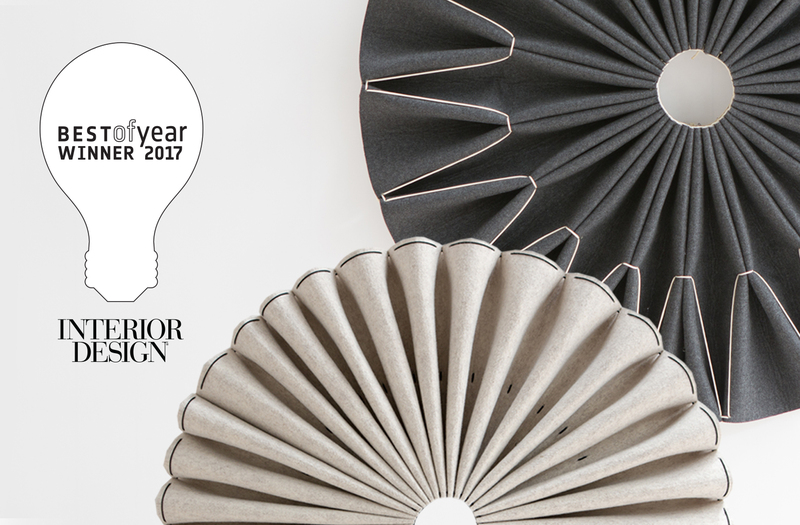 Interior Design’s Best of Year is the design industry’s premiere design awards program, honoring the most significant work of the year as well as recognizing designers, architects and manufacturers from around the globe. Now celebrating its 12th year, Interior Design’s Best of Year (affectionately known as BoY) has become the ultimate measure of excellence, showcasing what’s happening today in every category of design while simultaneously setting the bar even higher for the future. The BoY awards ceremony was held on December 1st at the IAC Building in NYC and drew 1,000+ world-wide attendees. Designed for BuzziSpace, BuzziPleat is a beautiful, functional, and versatile collection of acoustic wall and hanging pendants. The BuzziPleat series reinterprets ancient techniques used in fashion design – smocking and hand pleating – to construct large-scale, lightweight sculptural forms, made of sound-absorbing BuzziFelt. The resulting architectural folds maximize surface area, thus delivering exceptional noise absorbing performance. Another methodology adapted from fashion design includes the BuzziPleat framework itself which relies on the tension of its own fabrication rather than an internal support structure, producing clean, flexible forms. 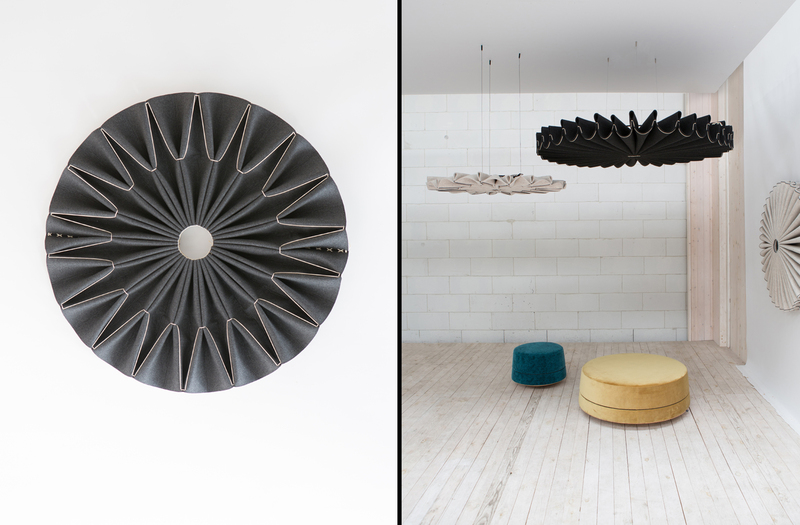 The collection includes two configurations, BuzziPleat Ripple and BuzziPleat Edel, both can be affixed to the wall or suspended from the ceiling. Each model is available in two sizes. 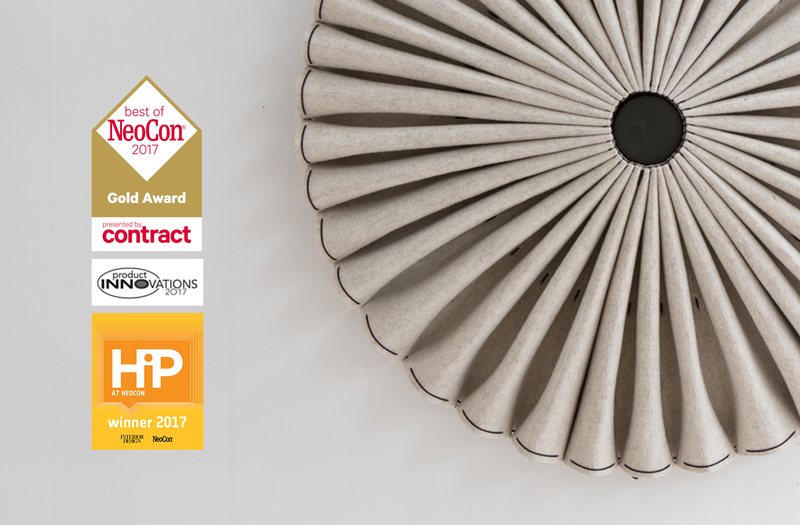 In addition to 2017 Best of the Year, BuzziPleat has also won the following prestigious awards: the Best of NeoCon 2017 Gold Award from Contract Magazine, Interior Design Magazine’s HiP Awards, and a Merit Award at the Product Innovations Awards 2017 from Buildings Magazine.